This elegant Grade II listed Georgian mansion dates back to the 1800s and was once the home of a wealthy alderman of Salisbury. 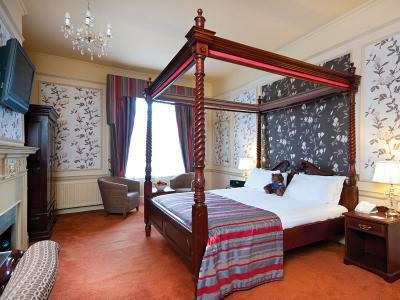 Situated in the city centre, Milford Hall Hotel is perfectly placed for exploring historic Salisbury, just a short 5-minute walk from the famous medieval Cathedral, market square, museums and shops. Milano is the new Italian restaurant situated in the grounds at Milford Hall. Before tucking in to a plate of fresh pasta, guests can relax in the heated conservatory or outdoor terrace with a pre-dinner aperitif. The luxurious Lime Tree Spa pampers with wine-inspired Caudalie treatments. 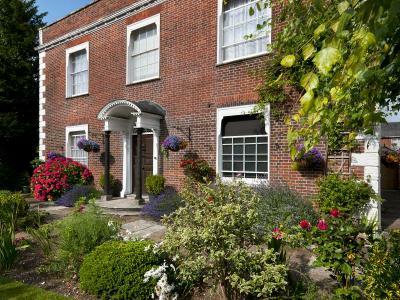 Milford Hall Hotel offers a great base for visiting nearby Stonehenge and the New Forest. Wilton House, with its 17th Century interiors and world-famous art collection, and the riverside Wilton Shopping Village are just 3 miles from historic Salisbury. 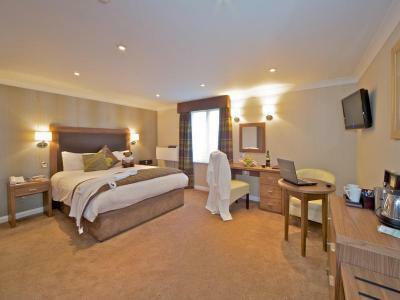 There is free on-site parking and free Wi-Fi at this quality 4-star Wiltshire hotel. Bedrooms are split between the original Georgian mansion - which houses four traditional, period feature rooms - and a contemporary wing where the majority of bedrooms can be found, including spacious, air-conditioned executive rooms. There is free Wi-Fi, satellite TV, work and seating areas as standard. Room service is available. Period style en suite bedroom offering free Wi-Fi, Freeview TV, writing desk, direct dial telephone, ironing station, tea and coffee making facilities, bathrobes, toiletries, hairdryer, and key card access. Traditional rooms, located in the original Georgian house, are luxuriously furnished and have their own individual character and charm. Exit at junction 8 onto the A303. After Andover, take the A338 to Salisbury. Turn right at St. Mark's roundabout onto Churchill Way North, ignoring signs to the city centre. At the next roundabout, turn left into Castle Street. Drive under the railway bridge. The hotel is on the left. Dark wood furnishings and soft mood lighting sets a stylish scene at Milano's, where beautifully simply pasta dishes are served alongside more extravagant meat and fish mains - prepared from premium produce sourced from local butchers and fish suppliers. There's an excellent choice of deliciously fresh seasonal dishes, too, on the daily-changing chalkboard. In the summer, dining at Milford Hall Hotel reveals an altogether different flavour. Take a seat in the fresh open air – sunny or shade – and dine al fresco. 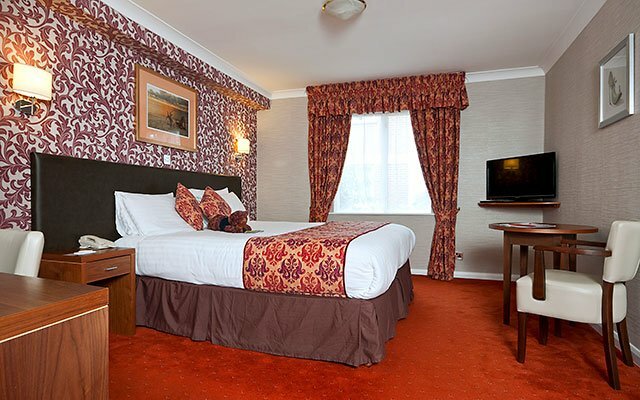 The hotel features a heated conservatory with a roof that retracts to make the most of the fine weather, and a good size outdoor terrace which offers an oasis of calm to spend a long summer evening after exploring the local area. Don’t miss the opportunity to indulge in afternoon tea whilst staying in this glorious setting – savour homemade scones with fruit preserve and cream, sandwiches, cakes and a pot of tea. Traditional, gluten free and champagne afternoon tea are available to order and can be enjoyed in the lounge bar, conservatory or terrace. Afternoon tea can be booked in advance, at a special price, when booking your room via ClassicBritishHotels.com. The unique surroundings of Milford Hall Hotel present a wonderful setting for private dinners and celebrations. The hotel caters for reunions, anniversaries, family gatherings, birthday parties, charity and club events, and business dinners. Choose from a range of private rooms, each with its own individual character. Call Classic British Hotels on 0844 967 0984 for advice and let us help you organise a memorable private dinner. The Lime Tree Spa is a luxurious health and beauty spa set in the grounds of Milford Hall Hotel. A perfect blend of holistic wellness treatments for the face and body are offered by highly qualified Vinotherapists who combine their expertise with leading international skincare brand, Caudalie. This French product house creates innovative, patented spa treatments by extracting powerful antioxidant-rich active ingredients from vineyards in France. Spa access: day access to the Spa is charged at £15.00 per person. Access is complimentary when you book a spa treatment (per person on any given day). A full range of spa treatments, using Caudalie products, are available to book. Much more than a motor museum… Set in glorious gardens on the banks of the Beaulieu River, in the heart of the New Forest, Palace House is a part of the Beaulieu Estate. The former 13th century great gatehouse of Beaulieu Abbey, this beautiful Gothic country house has been the ancestral home of the Montagu family since 1538, when Sir Thomas Wriothesley, later 1st Earl of Southampton, bought the Estate following the Dissolution of the Monasteries by King Henry VIII. Extended in the 16th and 19th centuries, the monastic origins of Palace House are still evident today. Once inside, however, the style of its later Victorian additions can also be seen. Admire the magnificent rooms in the House: the portrait gallery houses paintings of the Montague family's ancestors, including Shakespeare's patron, Henry Wriothesley, 3rd Earl of Southampton. Indeed, the Bard's first two narrative poems were dedicated to him. Originally the inner hall of the gatehouse, the dining hall was used for entertaining guests in the 18th and 19th centuries, and is still used by the Montagu family on special occasions. Once part of the north chapel, the private dining room features linen-fold panelling around its walls, salvaged from the House of Commons by 1st Baron Montagu, Lord Henry Pole. The private apartments, including the lavishly adorned library, may be toured in part when the Montagu family are not in residence. Discover the Secret Army Exhibition at the House, which we're not really allowed to talk about... We can say that it tells the story of the Special Operations Executive ("Churchill's Secret Army") who - having completed their training in secret at the finishing school on the Beaulieu Estate during the Second World War - carried out daring espionage, sabotage and reconnaissance missions behind enemy lines, with many servicemen making the ultimate sacrifice. The current home of Lord and Lady Montagu, it is easy to see why Beaulieu is much more than a motor museum. Whatever your reason for visiting Salisbury, you can't help but marvel at its remarkable cathedral, featuring Britain's tallest spire, largest cloister, and best preserved Magna Carta (AD 1215), of which there are only four original copies. Built in the 13th Century, the cathedral is one of the leading examples of early English Gothic architecture. Visitors can take the tower tour (332 steps) and admire the newly restored Chapter House, the world's oldest working mechanical clock, intricately carved monuments and tombs, and the famous Father Willis Organ. Eight miles north of Salisbury, Stonehenge is one of the most famous prehistoric sites in the world. This ring of standing stones was believed to be built between 5,000 and 4,000 years ago. Its location places it in the centre of a multitude of Neolithic and Bronze Age monuments, with dozens of burial mounds discovered nearby, making it a significant part of a complex, sacred landscape. As to why, many theories have been spun - some magical, some extraterrestrial - one of which is that Stonehenge was once a burial ground for the religious or political elite. Surrounded by 22 acres of parkland and gardens, Wilton House has been home to the Earls of Pembroke since the 1540s. Visitors can admire the magnificent 17th Century interiors and world-famous art collection, including paintings by van Dyck, Pieter Brueghel, Rembrandt van Rijn and Richard Wilson. There are annual exhibitions and, for children, there is an adventure playground. A two-minute drive from Wilton House is Wilton Shopping Village, where visitors can explore a historic courtyard, shops and an antique centre in a relaxed riverside setting. Set in the heart of this ancient city, a short 5-minute walk to the market square, Milford Hall offers an equally outstanding location for boardroom-style meetings and small training seminars as it does for larger conferences and events of up to 200 delegates. 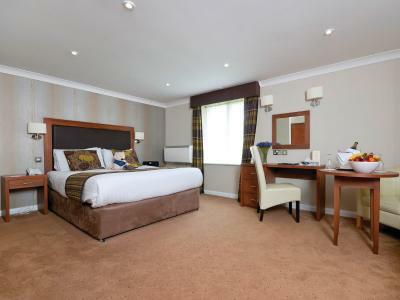 The Alderman suite offers easy ground floor access directly from the car park and hotel reception. Informal meetings are best suited to the lounge room, which features French windows opening out onto a small, attractive garden. Free Wi-Fi and free parking on-site.